Athletes on Track is a registered USA Cycling club that promotes competitive cycling in the Allen area. BAD KITTY MEOW PHAT KAT RACING is a registered USA Cycling club that promotes competitive cycling in the Plano area. BD Racing/Barfieldesign is a registered USA Cycling club that promotes competitive cycling in the Dallas area. Cadence Cyclery is a registered USA Cycling club that promotes competitive cycling in the Mckinney area. Crest/RBM Cycling is a registered USA Cycling club that promotes competitive cycling in the Frisco area. Cycling Center Dallas is a registered USA Cycling club that promotes competitive cycling in the Dallas area. Dallas Bike Works is a registered USA Cycling club that promotes competitive cycling in the Dallas area. Dallas off Road Bicycling Association (DOBRA) is a registered USA Cycling club that promotes competitive cycling in the Dallas area. 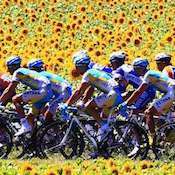 Dallas Racing is a registered USA Cycling club that promotes competitive cycling in the Garland area. 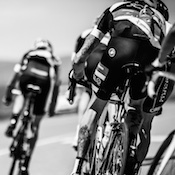 Dark Horse Racing is a registered USA Cycling club that promotes competitive cycling in the Garland area. 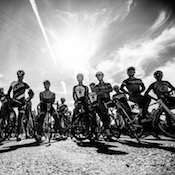 Elbowz Racing is a registered USA Cycling club that promotes competitive cycling in the Dallas area. Fast Frog Racing is a registered USA Cycling club that promotes competitive cycling in the Allen area. FCS Cycling is a registered USA Cycling club that promotes competitive cycling in the Dallas area. 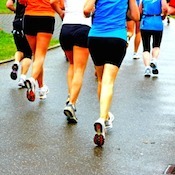 Fit2train offers weekly, coached run workouts in Dallas and North Dallas. $100 per year. Herradura Tequila/Revoluzione Racing is a registered USA Cycling club that promotes competitive cycling in the Dallas area. 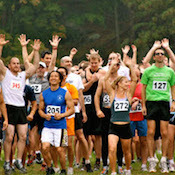 The IRC provides not only runs but cross-training events to promote overall health and fitness. 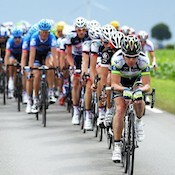 KingRacingGroup is a registered USA Cycling club that promotes competitive cycling in the Dallas area. Matrix Cycling Club is a registered USA Cycling club that promotes competitive cycling in the Richardson area. McKinney Velo Club is a registered USA Cycling club that promotes competitive cycling in the Mckinney area. 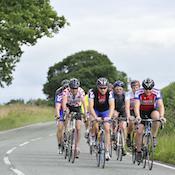 Mirage is a registered USA Cycling club that promotes competitive cycling in the Dallas area. We are a youth Track and Field club. Running group in the North Oak Cliff area of Dallas that runs in the morning. An RRCA-affiliated club promoting trail running and ultrarunnng. 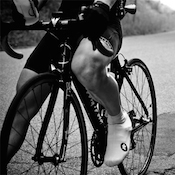 Oak Cliff Bicycle Company is a registered USA Cycling club that promotes competitive cycling in the Dallas area. October Three Racing is a registered USA Cycling club that promotes competitive cycling in the Irving area. Serving runners, beginner to advanced, from 3rd to 12th Grade! Plano Athletic Cycling Club/PACC is a registered USA Cycling club that promotes competitive cycling in the Dallas area. The Plano Pacers are a great family running club! We have races on the last Saturday of each month. 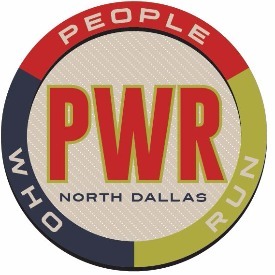 We are a North Dallas grassroots "social group" who are dedicated walkers/runners of all levels, ages and abilities whose mission is to support each other’s goals. Regardless of finicky North Dallas weather, mall-walkers to marathoners alike meet at 6:45 p.m. in various locations across the North Dallas (such as Allen, TX , Fairview, TX, Plano, TX, Frisco, TX, McKinney, TX , Lucas, TX , Murphy, Garland, TX, Richardson, Rowlett and across Dallas,TX) nature preserve. Offering safe planned walking/running loops, the start and finish locations are always at a restaurant; this invites walkers/runners to break bread with the devoted group after the walk/run. All you have to do to join in is to show up at the designated weekly location and look for the group in athletic gear. Rockwall Racing is a registered USA Cycling club that promotes competitive cycling in the Rockwall area. 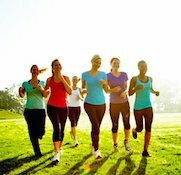 Local chapter of Moms RUN This Town, a running club for moms. 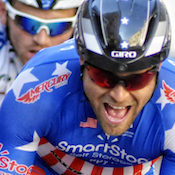 Rozik is a registered USA Cycling club that promotes competitive cycling in the Dallas area. 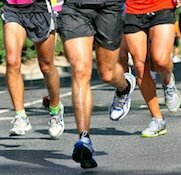 Training For Runners - Serious Social Training! Southern Methodist University is a registered USA Cycling club that promotes competitive cycling in the Dallas area. 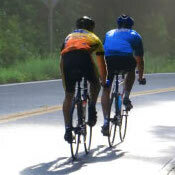 Systeme E is a registered USA Cycling club that promotes competitive cycling in the Garland area. Team Party Time is a registered USA Cycling club that promotes competitive cycling in the Plano area. Team Playtri is a registered USA Cycling club that promotes competitive cycling in the Mckinney area. Texas Christian University is a registered USA Cycling club that promotes competitive cycling in the Plano area. Texas Cross Syndicate is a registered USA Cycling club that promotes competitive cycling in the Garland area. Texas High School Cycling League is a registered USA Cycling club that promotes competitive cycling in the Dallas area. Texas Velos is a registered USA Cycling club that promotes competitive cycling in the Dallas area. 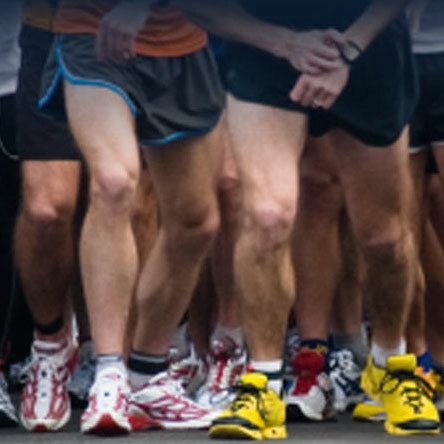 The Colony Road Runners club (TCRC) is a non-profit, volunteer organization for runners and walkers. The University of Texas at Dallas is a registered USA Cycling club that promotes competitive cycling in the Richardson area. We meet Thursdays at 7pm at The Shops at Legacy (or nearby) followed by socializing, food & drinks. 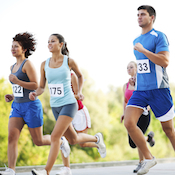 A Triathlon Club, Run Club, and Kids Club for all ages and skill levels. An adventurous running community in the North Dallas area. Exploring near and far off places. 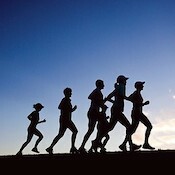 Free, non profit running club.